Creating opportunities and incentives for youth to be invested in the economic future of their local communities. 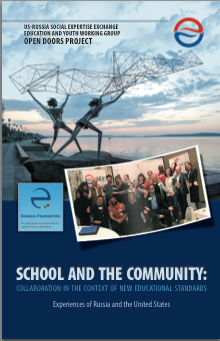 Developed by Russian and US education experts, this publication reveals successful models for collaboration among schools, nonprofit organizations, and businesses in the context of the new educational standards in Russia and the United States. It is addressed to school administrators, education thought leaders, community organizations, and community-oriented businesses interested in partnering with NGOs (non-governmental organizations) and schools. This step-by-step implementation guide is free for download to all youth educators. 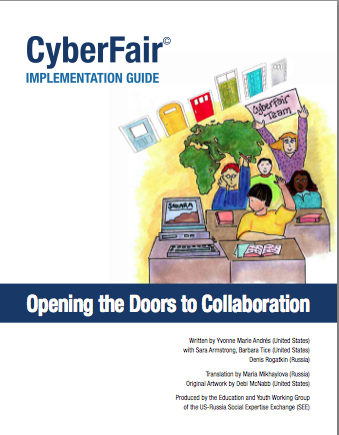 The publication is addressed to education thought leaders, school administrators, community organizations, and businesses with an interest in implementing CyberFair projects that engage youth in authentic learning within the community. 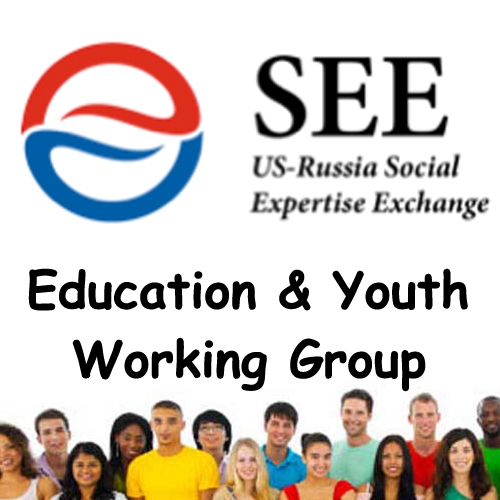 Promoting collaborative project-based activities about youth volunteerism, service-learning, and successful models of collaboration between schools and NGOs that support new education standards in the US and Russia.. Challenging youth to use digital media (web/video) to share their personal stories about best practices in "youth volunteerism." Youth publish a story online about an organization or special cause for which they volunteer their time (e.g. museums, parks, beach clean-up, hospitals, senior facilities, disaster relief, Humane Society).